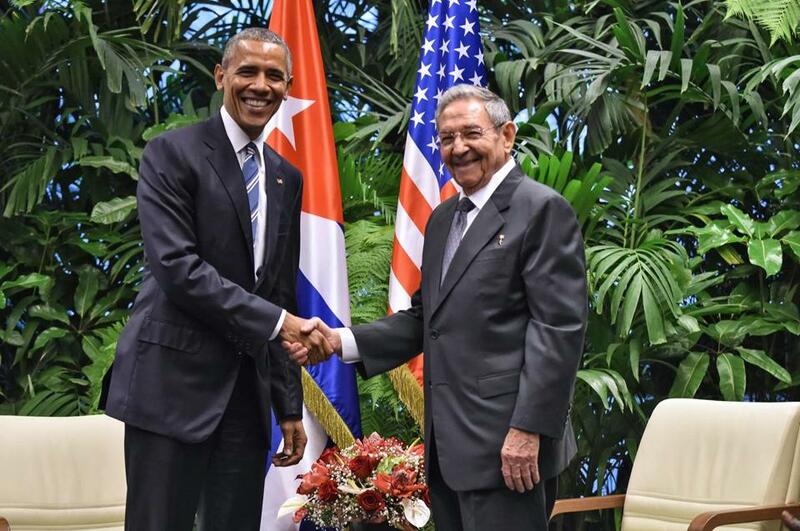 President Barack Obama and Cuba President Raul Castro shook hands at the Revolution Palace in Havana. HAVANA (AP) — President Barack Obama and Cuban President Raul Castro tussled Monday over differences on human rights and democracy but pledged to keep working on a new path forward between their two countries in an stunning diplomatic display. Cuba is criticized for briefly detaining demonstrators thousands of times a year but has drastically reduced its practice of handing down long prison sentences for crimes human rights groups consider to be political. Cuba released dozens of political prisoners as part of its deal to normalize relations with Cuba, and Amnesty International said in its 2015/2016 report that it knew of no prisoners of conscience in Cuba. 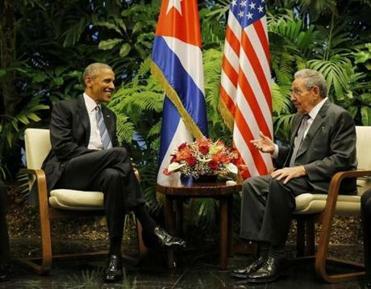 President Obama and Cuban President Raul Castro pledged to keep working on a new path forward. It’s extremely rare for Raul Castro to preside at a news conference, although he has sometimes taken questions from reporters spontaneously when the mood strikes. He’s known as a much more cautious and reluctant public speaker than his loquacious older brother Fidel, who was given to talking for hours at a time and often directly with journalists. There are a handful of independent online outlets, though more critical ones like dissident blogger Yoani Sanchez’s 14ymedio are blocked on the island.